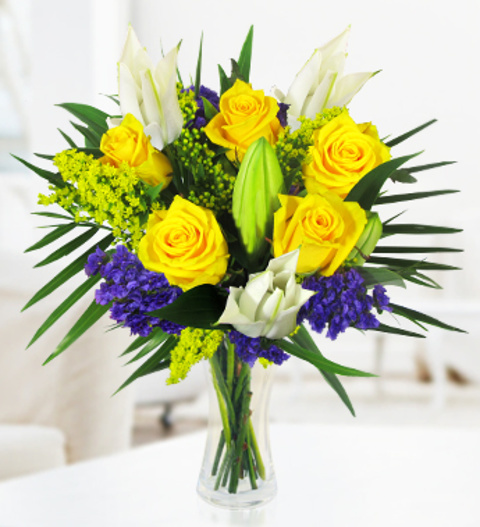 A delightful golden Rose and stargazer lily bouquet perfect to celebrate all occasions. The roses are prestigiously arranged with fresh blue blossoms and tropical palm. Radiance is available for UK next day delivery and comes with a FREE box of Belgian chocolates. Chocolates may contain nuts.